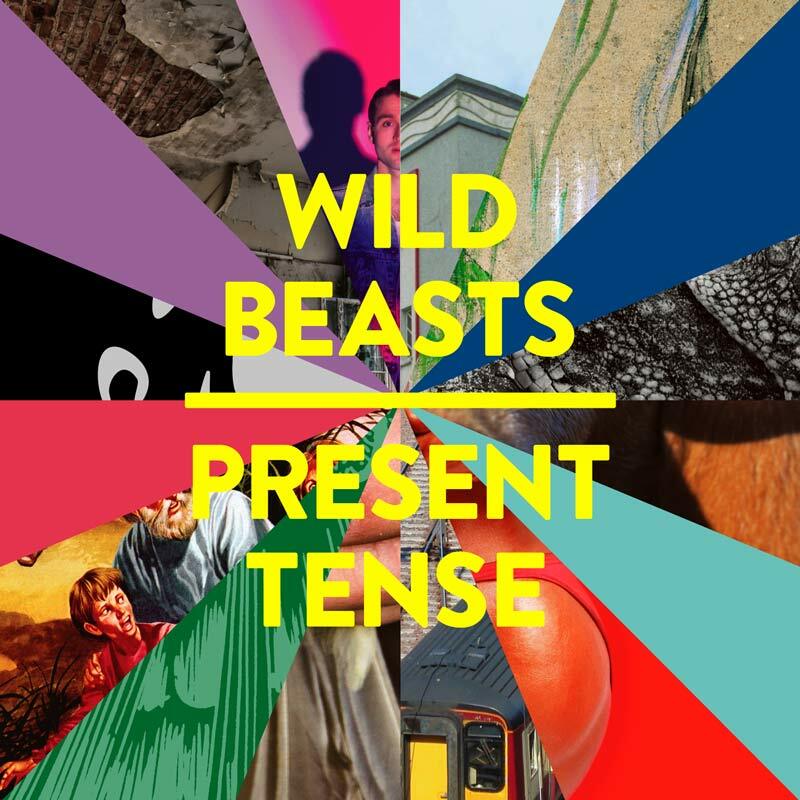 Delicate and haunting, Wild Beasts’ fourth album Present Tense ebs and flows in waves of beautifully parred down electronica. Less poppy than Two Dancers and more vulnerable than Smother, the Kendal quintet have cultivated a sound that presents itself as natural and effortless. In fact, it took them a whole year away from touring to create, joining forces with co-producers Lexxx and Leo Abrahams. Sparse, contemplative moments are met with strong vocals and thudding percussion, resulting in Wild Beasts’ most self assured musical offering so far. Present Tense is an impossibly well suited album title, contemplating the lyrical content which feels undeniably present in cultural context; “We’re decadent beyond our needs…they’re solemn in their wealth, we’re high in our poverty” comes Hayden Thorpe’s quavering vocal, speaking to a generation that feels alienated by class and wealth boundaries and unethical consumerism. These poignant lyrics appear in first track and single Wanderlust; its rolling percussion and soaring synths frequently gracing radio airwaves since its release in early January. Scratchy synths and sparse beats dominate on Daughter which feels eerily beautiful in its dark, dank lyricism. “Daughter please, its me, tell me what you’ve seen” pleads Tom in his deep tone, hinting at a dark narrative hidden within the beautiful sound arrangement. Pure and vulnerable, Hayden’s vocals on Pregnant Pause offer a giddy alternative to Tom’s haunting baritone. This is the most subtle and arguably most beautiful track on Present Tense. The subtle layers of electronica in Pregnant Pause slowly build as Hayden’s falsetto soars, ending in 2 seconds of stunning silence. The contrasting differences in both voices come together in A Simple Beautiful Truth, a blending of light and dark, both vocals add depth to the swirling mass of staccato beats. There’s something quite Kate Bush-y about this track, with echoes of the same carnal, rolling drum beat of Hounds of Love. One thing Wild Beasts haven’t changed is their penchant for blatant dominance of percussion. In no songs do the drumming skills of Chris Talbot fade into the abyss of post-production. A Dog’s Life gives Talbot full attention, with the first few seconds consisting only of drum beats which sound raw and underproduced – something which fits the sorrowful tone of the song. Ben Little’s reflective guitar riffs chime in along with Tom’s vocals which sound reflective and regretful, as if the song is a eulogy of sorts. Heartfelt and intense, A Dog’s Life is a phenomenal track when played through headphones. Loud. It feels as if its over as soon as it begun, building up to a stunningly full crescendo which should continue for at least another two minutes. Present Tense fades out with Palace; “in detail, you are even more beautiful than afar” sings Hayden with a lyric that perfectly sums up the whole listening experience of their fourth album. From first listen there’s no denying that this is a beautiful piece of art, but it is within the third or fourth listen when the sheer beauty of this album truly presents itself. It is in its detail and most subtle moments when Present Tense really worms its way into your soul.